In 1939 Engineer - Inventor A.C. (Carlyle) Day met Import-merchant F.E. (Frank) Wright to ask him to form a company to exploit his new machine which produced 360 bobby pins per minute against the worlds best of 120 per minute. Bobby Pins Pty Ltd was formed in February 1940 and 2 machines produced the pins at 5 Mary Street, Surry Hills until 1965 where we were unable to make plastic tipped pins and production ceased. 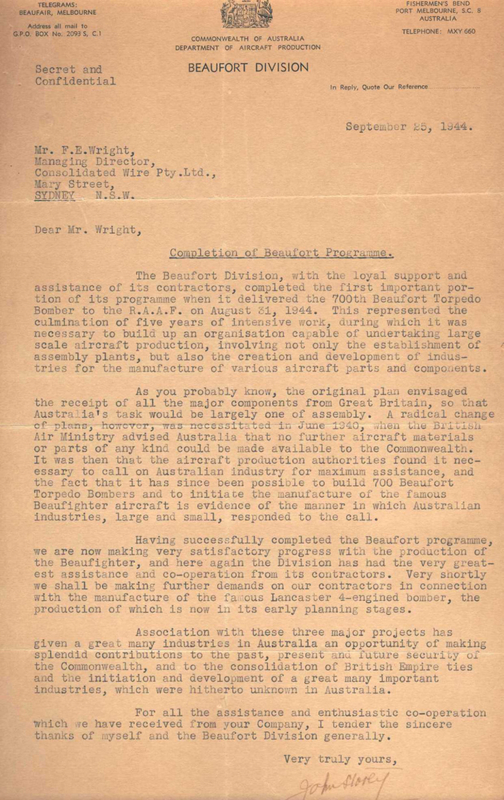 In 1940 we were allotted the wartime duty to manufacture Bowden Cables by the Department of Aircraft Production and Ministry of Munitions. We built our own cable stranding machines and conduit coilers. There was no plastic sheathing then and our cotton braiders of American make were appropriated from Ireland while we built our own in-line lacquering plant. 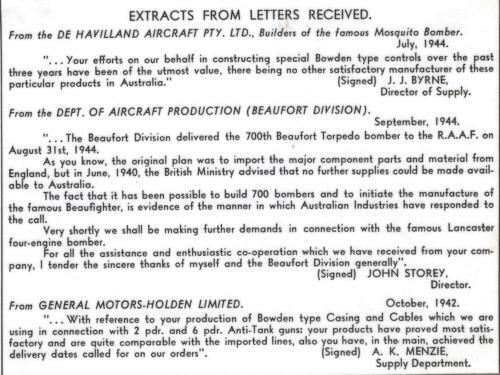 We are proud of letters of thanks for our help in the manufacture of Mosquito and Beaufort aircraft. 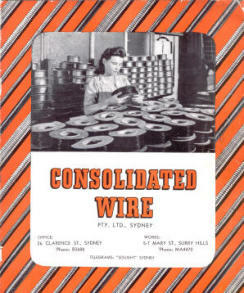 In 1942 we changed our name to Consolidated Wire Pty Ltd, supplying bulk reels of cable and conduit. 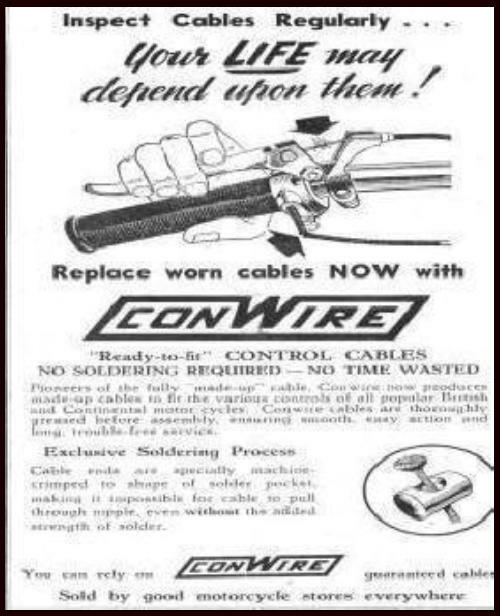 After the war we started to assemble motorcycle and bicycle cables. In 1948 Warren Wright (Franks' son) joined the company. An avid motorcycle enthusiast, Warren initiated the manufacture of complete pre- lubricated cables for every function. 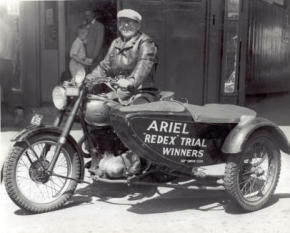 We gave spare cables to all competitors in the first Redex Trial in 1953. 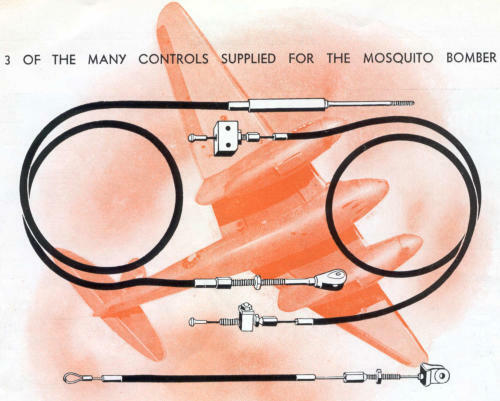 From 1950 we started supplying cables for the Morris Minor and Oxford models. When local production started in 1957 we supplied the accelerator and handbrake cables for the Morris Major and Austin Lancer. In September 1953 we purchased an "old house and land" at Arncliffe NSW, where we installed our first Plastic Extruder in the ramshackle building. We perservered until a new factory was built and became operational in January 1963. Lawnmowers were never a significant market until Merv Richardson invented the rotary mower in 1952.We were associated with him from the start and are still a "Proud Australian". With the Arncliffe / Tempe area being redeveloped into Discovery Cove we relocated to 5 Sheridan Close, Milperra in 2003. Here we continued to supply cables to all of our customers, till in June 2009 Jim Wright decided to close Consolidated Wire and retire. 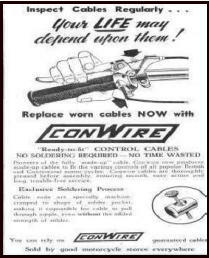 In September of the same year Conwire Pty Ltd opened under the ownership of Len Cook (B. Bus) who had worked with Consolidated Wire since 1972 and moved down the street to our current location at 10/14 Sheridan Close Milperra where we still use some of the old equipment to manufacture and supply parts and cables for the Australian market.